When I said regular series back in April 2016, I did not expect that the next installment of Supplementary would not be written until nearly three years later… Heck, even the beginnings of this very article have been in my drafts folder for over 2 years. That said, without further ado, let’s take a look at the classic supplement for Paranoia, Orcbusters. Written by Ken Rolston, this supplement was originally published in 1986 for the first edition of Paranoia. Orcbusters is a Paranoia dungeon crawl for 2-6 players and their GM. It’s not a weighty tome, consisting of only 32 pages, but it did include a GM screen and pullout sections that included maps, charts, and premade characters. 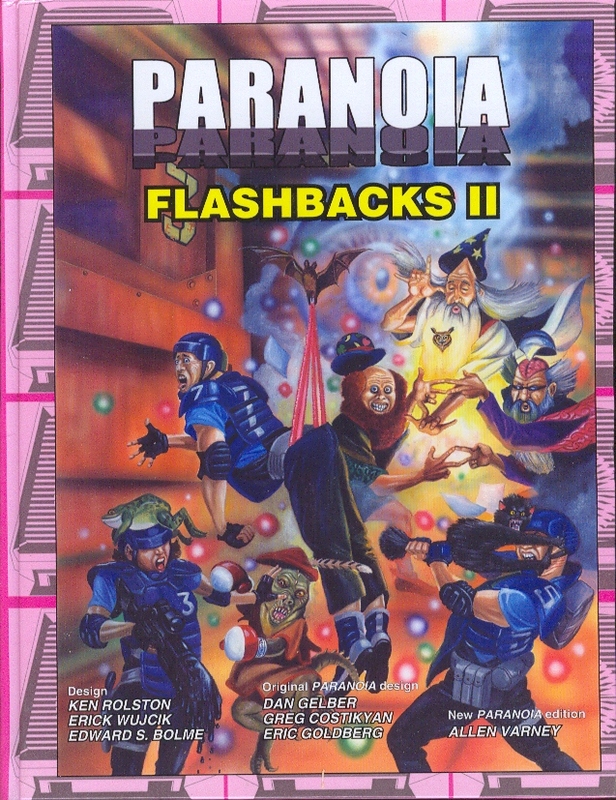 This was clearly a popular supplement as it has seen a few re-releases over the years as part of the anthologies The Computer Always Shoots Twice, Flashbacks II and Flashback Redux. It was also featured in a Bundle of Holding from last year. For me, Paranoia is at its best when it is strange, funny and subversive. Orcbusters is all these things. The premise is that a group of wizards (and their lizardman apprentice) are transported to Alpha Complex and start causing havoc. You are one of the troubleshooters sent by Friend Computer to resolve this crisis. Needless to say, chaos ensues. The book is, as you’d expect, chock-full of references to D&D and other RPG tropes (these hold up!) and jokes about TSR (these don’t hold up quite as well). The adventure is a nice dungeon crawl that pits the troubleshooters against the wizards and takes the players to ‘Dimension X’, the land the Wizards have come from. It’s after arriving in this land that the dungeon crawl begins. I really like some of the old school touches, especially when the book tells you to keep the dungeon map away from the players and have them map out the dungeon as they travel, as they would have done in classic D&D. Again, this is a really nice touch and one that I’m tempted to build into a game in the future. I’ve done a little bit of this before in Paranoia when players were trying to work out a tower floor and door puzzle. They found mapping out the tower helped them understand what was happening around them. The book also makes it really easy to run this campaign, breaking down descriptions of individual rooms into clearly-numbered sections. This structure helps to make this a really good introductory adventure for both the players and the GM. Structure and detail married with concision is always going to be a winner. The inclusion of classic RPG enemies is also really cool. Obviously, there’s the aforementioned lizardman, Randy, but there are others. I like the artwork for the gelatinous cube, a classic and enduring D&D monster. 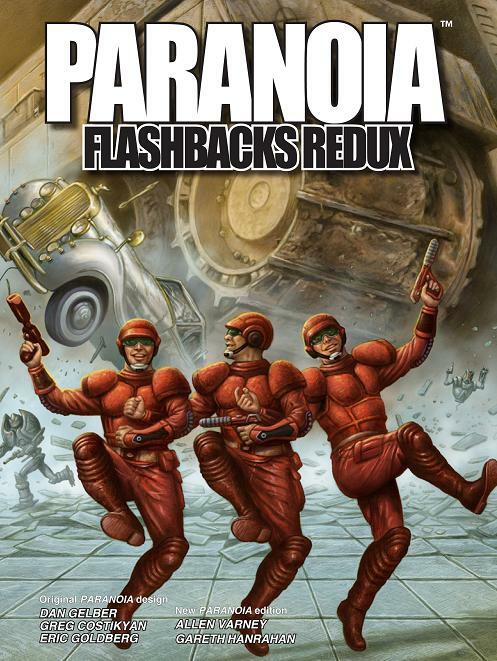 I always feel so sorry for the clones in classic Paranoia artwork – things never seem to be going well for them. I suppose that’s the point, really. As an aside, this is also the only RPG book in which I have ever seen the term ‘breakfast nook’. I don’t know that this matters, but it does make me smile. That’s important, I think. I’m not wanting to run through the whole story because, again, spoilers, but you should really read it. Well, no. If you’re the likely GM for this adventure with your usual group, then you should read it. If you’re more likely to be one of the players then you really shouldn’t. Like, don’t. Seriously. Don’t ruin it for yourself. The book is available on DriveThruRPG and, as I’ve said, it’s in a few different collections or anthologies. 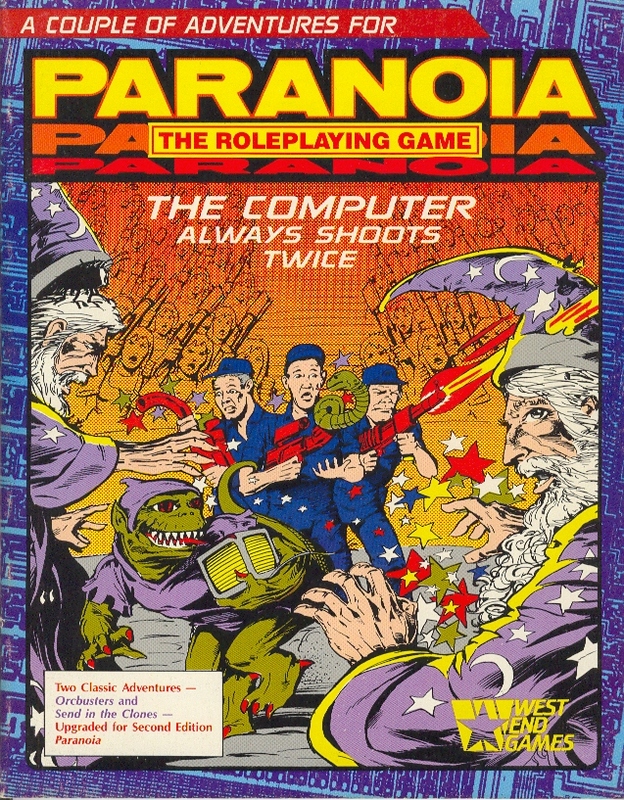 It would be great to see an update or spiritual successor to this supplement for the latest edition of Paranoia, but there’s nothing here that cannot be easily converted. With this ease of conversion in mind, I can definitely call this a must-buy for the discerning Paranoia GM. If nothing else, it’s a great lesson in structuring adventure supplements.